Home | Innovation & Engineering Excellence > Blogs > Escorts > If you think you can… You Really Can! Life starts in our mind and it manifests and attracts all that the mind has learnt to think of, as we learn to pursue our efforts to realize our goals in life. In the early 2000, when #Escorts was in a stressed condition, both my father and I firmly believed that the company can and will turn itself around. As much as the circumstances would indicate that it was near to an impossible task to make that happen. In life, no matter what the world thinks, it’s important what we think and believe in our mind. The world’s opinion is a reflection of our convictions and real life demonstration. I remember in those years (early 2000), meeting with few funds that were focused on restructuring assets and we met with many, but one in particular that taught me my greatest lesson of my life (I am indeed grateful for that, coz it made a man out of me). So as I went along in presenting the story in details on how we would utilize the funds to #restructure the company. But unlike in other meetings, I found their attention to what I was speaking amiss. It was later that their main agenda for the meeting came out “Why don’t you guys walk out of the company, we offer to buy you guys out and offer a graceful exit for an impossible effort for a turnaround” My immediate response to the unexpected and shocking offer was “We are not for sale and I don’t have a price tag attached….. our main aim is to resurrect the foundation and pursue the companies mission to bringing the world’s best to India and offering India’s best to the world”. Today, with God’s grace and with great effort of the entire team at Escorts, the company has come a long way. Our debt equity ratio at 0.23:1 from 2.5:1 and the balance sheet totally clean, with profits and margin on the increase. The company is on its way to become a blue chip company again. We are grateful to all our #shareholders, who share our promise of the future. We are close to the end of #2015 and a start of another year and I wanted to share this story with everyone to understand the deep love and passion we all have for our desire to taking Escorts to the top. This requires deep #commitment from our people and a firm belief that it can and will be done. As we enter #2016, I look forward to partnering with people on our ongoing journey! Don’t let anyone tell you It can’t be done!! 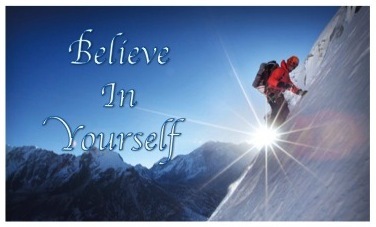 There are few who will believe in you, but the starting point is that you must believe in yourself. God bless you and I wish you and your family a very happy 2016, a year of growth for us all and a year of impossible growth. ii) Resurrect impossibilities to possibilities. Brand Escorts is huge and it has always been a blue-chip company in view of consumers, its suppliers, its business partners, etc.. I still remember my interactions with numerous owners of some reputed suppliers of NCR territory who are catering to all of Hero Group, Honda, Bajaj, Maruti, Yamaha, etc.. They always maintained before me that they owe their gratitude towards Escorts and they see it as parent company which guided them towards industrial setups. I see Escorts in the club of Tata, Birla, Mahindra, Godrej, Bajaj, Hero, etc.. Automobile Industry is going thru exciting times with lots of innovations undergoing back at R&D centres across globle. Be it: experimenting of driverless cars by Google and Apple, or Electric cars by Tesla and Toyota, or Carbon Fiber bodies, etc..
I’m sure that Escorts will benefit from all these positive happenings in this industry.